Simon Batchelor from Gamos writes on the relevance of Dipak Gyawali’s talk at the 4th LCEDN Conference to the SAMSET project. I attended an interesting talk by Dipak Gyawali (Interdisciplinary Analysts, Nepal) at the LCEDN 4th Conference, Durham March 23rd and 24th 2015. Dipak has been both minister of water and minister of energy for the government of Nepal in the past. Now an academic studying and discussing the water, energy, food nexus, he is best known for his book Rivers, Technology and Society. He raised a number of points in his talk that seemed particularly relevant to SAMSET. Nepal is a country with great potential for hydro power and yet it has only 750MW and in recent years is having daily load shedding on 15 hours. He focused on how long it takes to build a hydro dam, and the complexities of the ecosystem, the role of activists, and the conditionality of the loans. Indeed he told the story of how he was involved in challenging the bad economics of the World Bank, arguing against a particular dam not from an environmental point of view (against which the World Bank would argue they would mitigate the environment effects, and then 15 years later we would all see that the mitigation didn’t work) but using economics to argue against the massive investment and delayed outcomes – bad economics was a convincing argument. But arguing against something is not the way forward for a country. So Dipak gave us some very concrete examples of possible ways forward. He talked about the emerging role of decentralised electricity, which takes so much less time to plan and implement. He noted that in addition to the 750MW national grid, there is also 750MW of Diesel (and Petrol) generators, being run by retail outlets, shopping centres and homes! Where the grid costs 7 to 8 rupees per kWh, the people who feel they need control of their own electric destiny are paying between 30 to 80 rupees for their diesel generation. This indicates a massive willingness to pay – if it is attached to reliability. And Dipak pointed out that from first discussions to actual switching on in 2011, the 750Mw of hydro took more than 70 years; the 750MW of diesel has been thought of and switched on in the last 10 years. So how can we leverage this willingness to pay and this idea of decentralised but reliable electricity? Of course his example is of carbon based diesel; it would be good if the decentralised reliable energy could come from clean energy. In Nepal, there are regulatory difficulties in connecting renewables to the grid. There are 46MW of solar PVs in the country, and studies quoted by Dipak suggest that with a reasonable and a more bureaucratic light feed in tariff, people would install 250MW within 6 months. His views from Nepal illustrate how ‘business as usual’ can lead to a strange energy landscape, with people paying more than necessary for their energy when a change in policy and regulatory framework could rapidly change the scene. He also talked about alternative models for funding smaller responses. Small hydro has not really been very cost effective and yet stepping out of the box and looking at it from different angle can completely change that. He talked about hydro and transport, and I confess that I thought ‘How is that possible?, how can you link hydro and transport?’. In Nepal people carry items up mountains by foot, and it can take five hours or more to get goods up to a village. Ropeways can offer an electric pulley transport system. Connecting a hydro to a ropeway can make the hydro economically justifiable, working on the ropeway during the day and then its use for lighting in the evening for the community doesn’t even need to be charged. In SAMSET we have noted the difference between South African municipalities who buy electricity wholesale and are responsible for and gain revenue from distribution, and Uganda and Ghana where municipalities don’t have such responsibility. In Nepal, Dipak introduced communitisation of electricity, where communities were enabled to mobilise to purchase electricity wholesale and take responsibility for distribution. Some 250 communities operate in this way now, and theft of electricity has dropped to zero (since the wholesale has to match the distribution and any community member attempting theft is soon identified and sanctioned). Interestingly at this point Dipak spent some time on the political economy, noting that almost all sides of the political spectrum do not like the communitisation idea. The Maoists were said to not like it because it wasn’t through the party system, and the far right didn’t like it because they liked to gift things to the people, in order to get their political support – the communitisation empowered the people outside the patronage system. Dipak also mentioned that the centralists were lobbied by vested interested to not explore these interesting alternative models! It was a very interesting talk. I cannot guarantee I have remembered everything accurately, and numbers may be slightly off, but I felt particularly his focus on decentralised reliable energy, and the willingness of people to pay for reliability, was relevant to all our SAMSET locations. 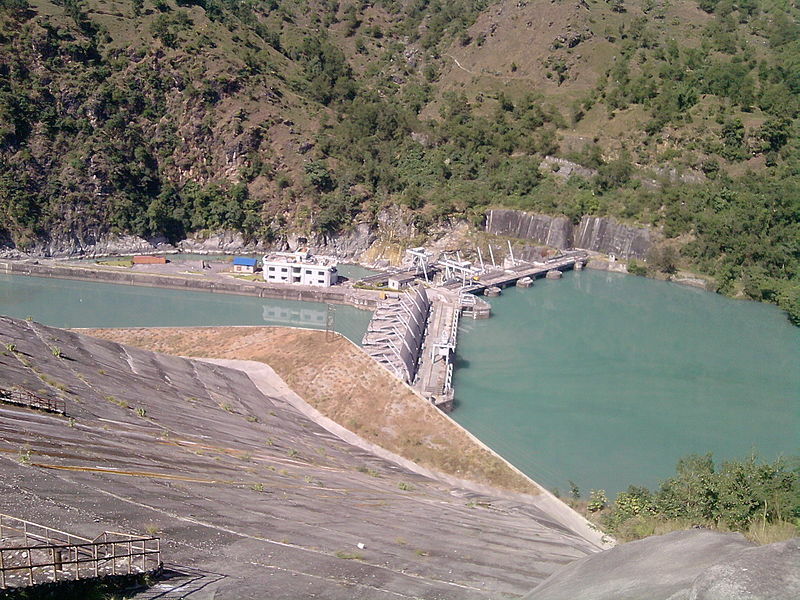 This entry was posted in Gamos and tagged Communisation, Decentralised Electricity, Decentralised Energy Solutions, Diesel Generation, Economics, Electricity Theft, Energy, Food, Government of Nepal, Hydropower, LCEDN, Micro-hydro, Municipalities, Nepal, Offsetting, Pico-hydro, Political Economy, Ropeways, SAMSET, Sustainable Energy Transitions, Transport, Water, Willingness to Pay, World Bank on April 10, 2015 by danielkerrucl. Informal settlements: to electrify or not? Xavier Lemaire recently wrote a guest blog for UrbanAfrica.net representing the SAMSET projcet research. The blog is reproduced here in its entirety. Informal settlements constitute a major part of African cities: more than two thirds of the urban population of sub-Saharan Africa lives in slums. In spite of evidence to the contrary, such settlements are typically considered temporary aberrations by governments and are not recognised as permanent features of the urban landscape. As a result the needs of their inhabitants tend to be ignored by urban policy-makers. This is notably the case when it comes to the electrification of informal settlements, which are seldom included in electrification efforts. The attitude of electricity utilities and municipal electricity distributors to the inevitable flourishing of “illegal” connections in these areas is at best to ignore them, or, when the situation deteriorates too much, to engage in repressive measures, such as disconnections, harassment, fines and/or imprisonment for what is considered as electricity theft. Some authorities still take refuge behind electricity industry norms and spatial planning schemes that are rooted in the colonial era and designed to favour the wealthy, effectively denying the poorest rights to such services. Municipalities and utilities do not want to legitimise informal settlements by electrifying these ‘illegal’ structures. They also do not want to risk increasing a low-income customer base who are expected to be unreliable payers. Furthermore, they do not want to electrify areas where there are higher technical risks and safety concerns for which they could be held responsible. The situation leaves few alternatives for informal settlement inhabitants: to move (where? ), to remain without modern energy, or to establish electricity connections themselves. In the human endeavour to improve their living conditions, it is not surprising that the latter option prevails. Even if most inhabitants can afford to pay for their connection and have demonstrated a willingness to pay, the authorities do not electrify such areas as a rule, and thus residents are pushed into illegality in their attempts to improve their welfare. The proliferation of illegal connections comes with numerous problems, such as greater safety and fire hazard risks linked to sub-standard connections, overload of networks, loss of revenue for utilities (so called ‘non-technical’ losses), and economic exploitation of the poorest by informal resellers of electricity, who may charge more than double the official electricity price. By denying access to electricity in informal settlements, utilities create situations where both the welfare of citizens and the effective functioning of the utility are compromised. The attitude of municipalities and utilities to informal settlement electrification has been demonstrated to be unnecessary and far too conservative in places where informal electrification has been pursued. Where countries have adopted a more flexible, appropriate approach to this dilemma there have been significant benefits for both residents and utilities. After the end of apartheid, South African municipal electricity distributors and the national utility Eskom developed innovative approaches to low-income household electrification, which they extended to informal settlements over time. Cape Town municipality has been one of the pioneers in this field. First, it demarcates areas where electrification is materially possible from those where it is not feasible, by adopting broad criteria which include a maximum of inhabitants. While the dense configuration of many settlements can indeed restrict access by electrification vehicles and equipment, with aerial electrification most parts of a settlement can be reached. However settlements on privately-owned land are not electrified, as the law prevents municipalities from installing assets on such land. Floodplains are still categorised as unsuitable for electrification, although some experts consider that these areas can be electrified as long the network is kept out of reach of water and disconnection points enable operators to isolate specific areas when flooding occurs. Secondly, appropriate electrification technologies are used which enable all households to be reached, such as the ‘maypole’ approach (as the name suggests, houses are connected from a central pole in a radial ‘maypole’ fashion), and external pole-mounted meters are used which communicate with in-house displays, making it easy for officials to disconnect, check for faults and identify tampering. These innovative technologies and approaches have been important enablers to informal area electrification, as they have proven themselves to be safe and cost-effective. Thirdly, tariffs have been adapted for this context, with small connection fees which are not collected up-front but paid over an extended time, and pre-paid-meters both protecting the utility revenue as well as enabling low-income households to purchase small amounts to suit their pocket, as the poor often have a variable income. Fourth, local communities are engaged with extensively during the electrification planning and implementation process. This engagement goes beyond a superficial survey and implies time and effort from the utility to identify concerns and interact on a regular basis with the community-chosen representatives, as well as directly with the inhabitants to be electrified. This integrated approach to informal settlement electrification has spread access to electricity to almost all households in Cape Town, with associated welfare benefits for its citizens. Using technologies, standards and approaches imported from the developed world, as was done initially in South Africa, would have constrained such access significantly. One of the surveys conducted within the Supporting African Municipalities with Sustainable Energy Transition (SAMSET) project, as part of research running into 2017, compares the approach taken in the six municipal partners of the project to see how best practices could be replicated in other African municipalities. This entry was posted in UCL - Energy Institute and tagged Access to Electricity, Access to Energy, Cape Town, Cape Town Municipal Electricity Department, Electricity Grid, Electricity Services, Electrification, Illegal Connections, Informal, Informal Settlements, Informality, Integrated Approach, Municipal Government, Municipalities, Peri-Urban Electrification, Tariffs, Urban Slums, Welfare on April 2, 2015 by danielkerrucl.